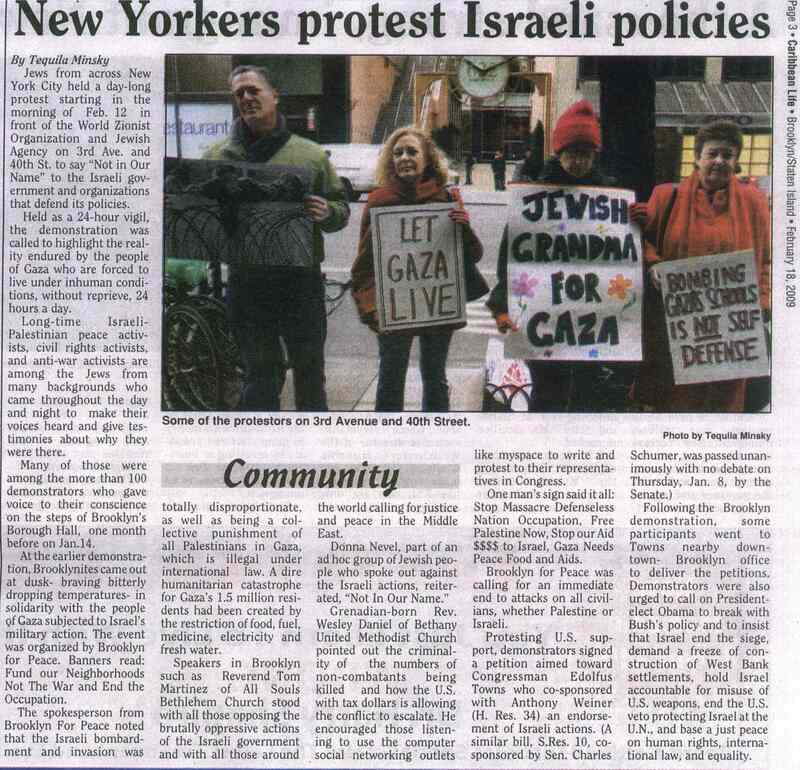 Press coverage of 24 hour protest, Feb 12-13 | Jews Say No: Not In Our Name! « 900 New Yorkers join 24 hour protest for Gaza! Reuters also put the story out and many TV stations around the country picked up! This entry was posted on February 14, 2009 at 4:20 pm and is filed under Press Coverage. You can follow any responses to this entry through the RSS 2.0 feed. Both comments and pings are currently closed.